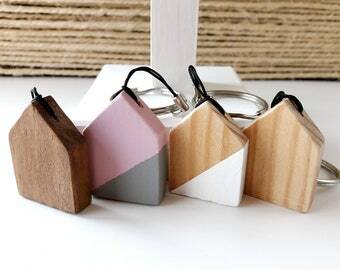 Decorate a loved one's keys or yours with this Scandinavian-style wooden keyring. 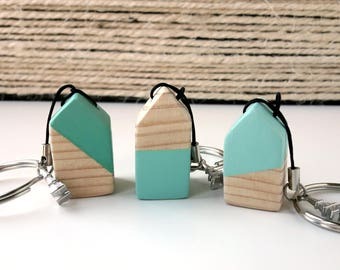 It's an original gift for Valentine's Day, a birthday, Mother's Day or Christmas. Whatever the occasion, this key ring is designed to brighten up your keys or the keys of anyone you want. 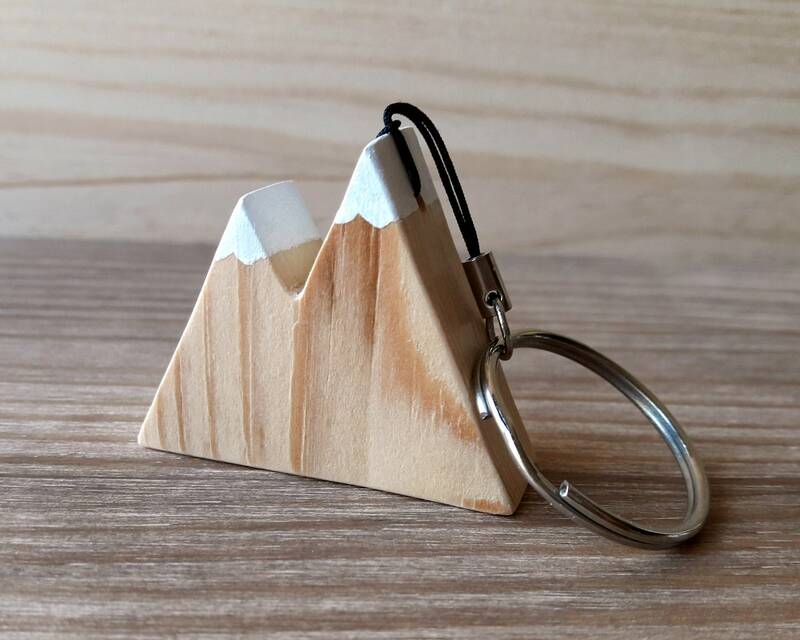 Its mountain shape makes it the perfect gift for climbers, campers, hikers and nature lovers. 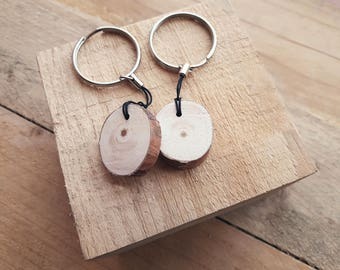 The keychain is made of wood. 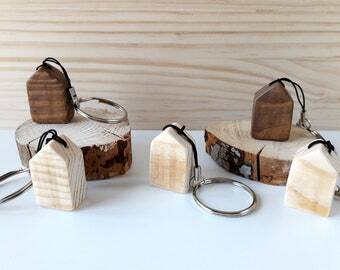 Cut, sanded, painted and varnished entirely by hand. 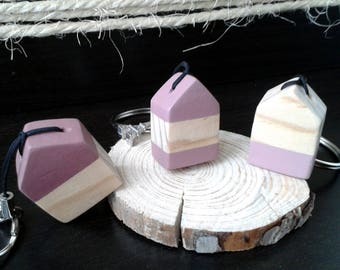 It has a colorless varnish with peaks painted with white chalkpaint and also has two layers of satin varnish for greater protection against the passage of time and moisture. 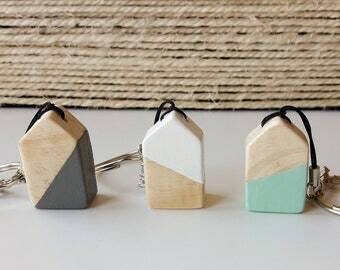 Each key chain is unique.